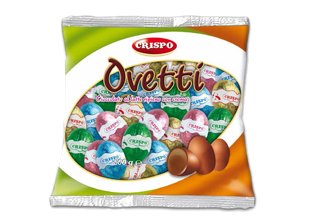 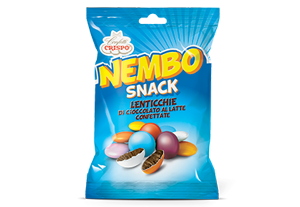 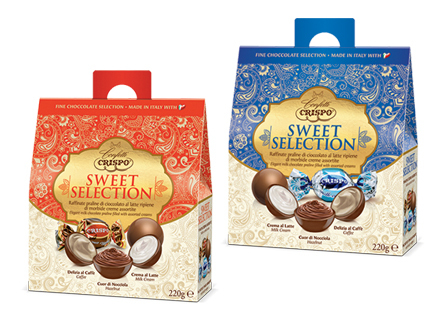 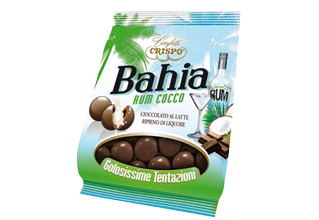 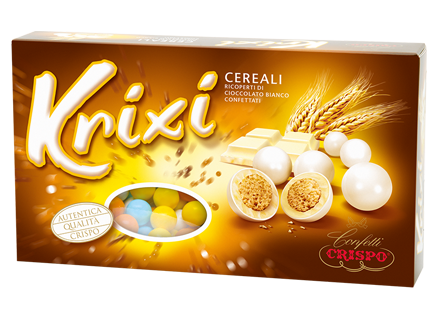 The finest assorted creams enclosed in a shell of delicious chocolate. 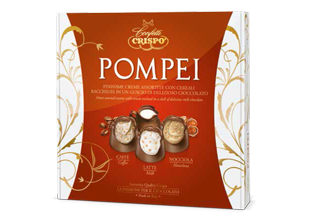 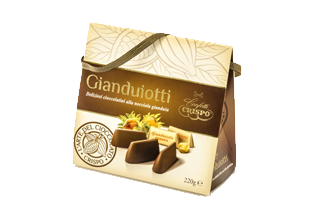 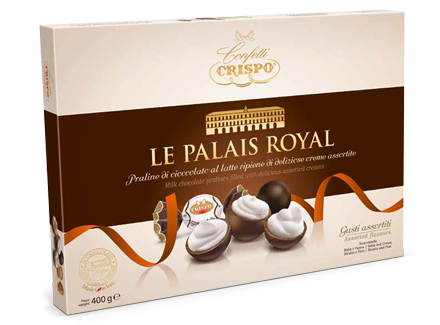 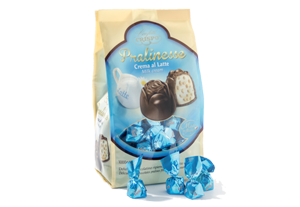 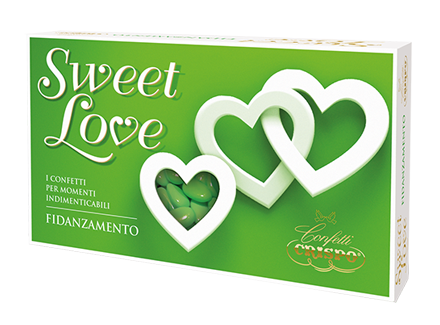 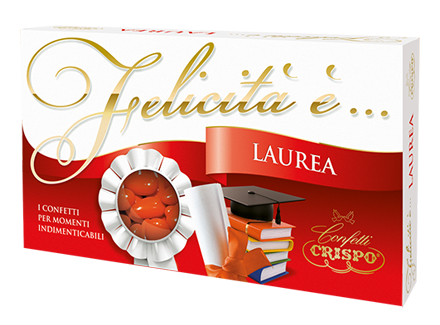 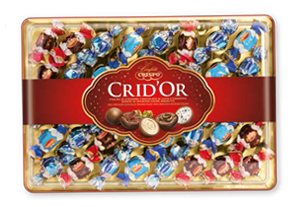 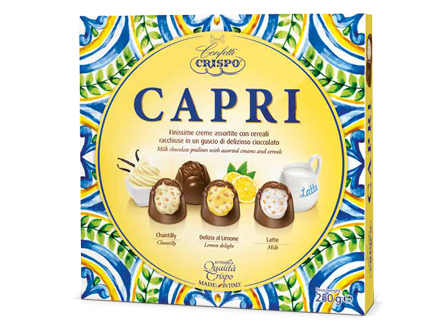 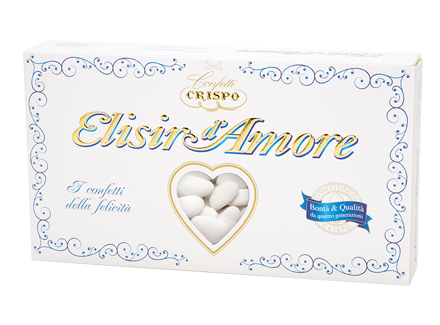 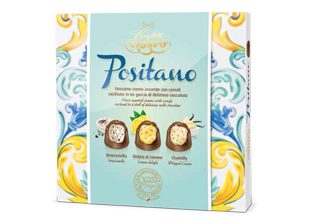 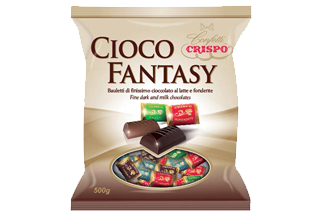 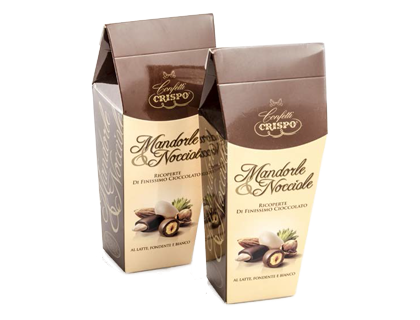 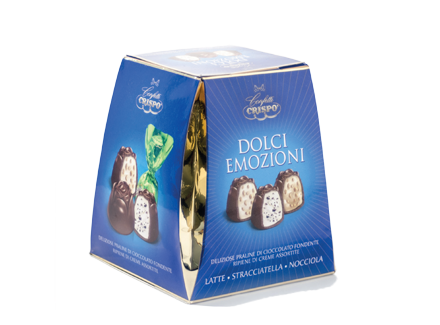 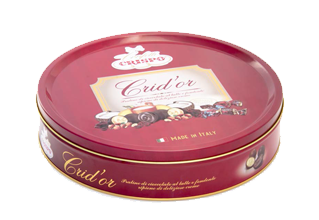 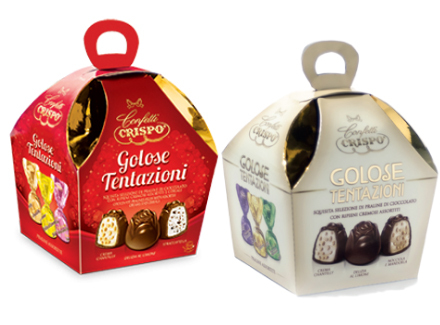 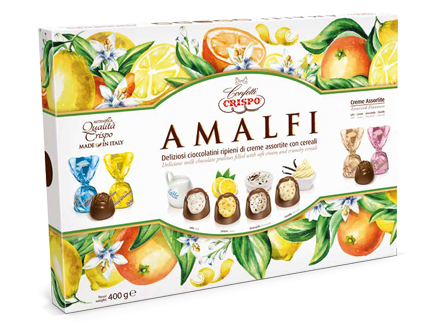 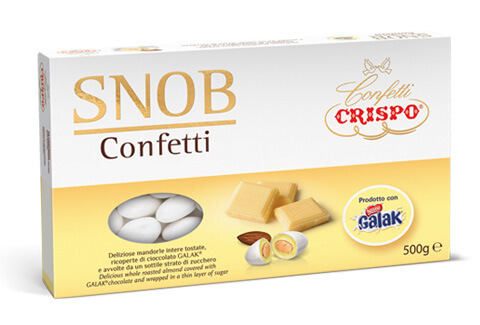 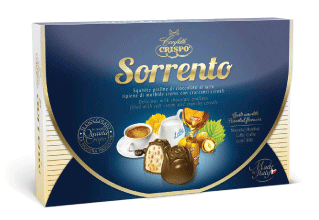 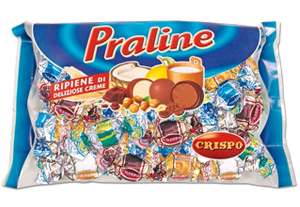 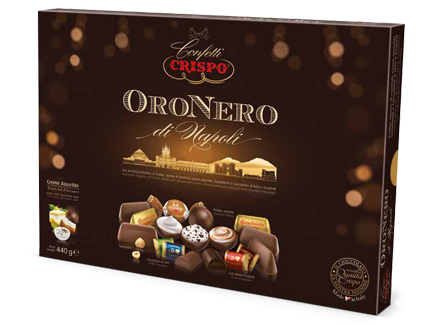 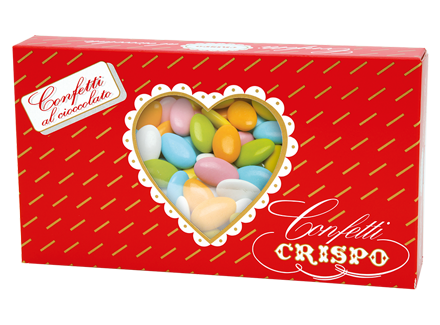 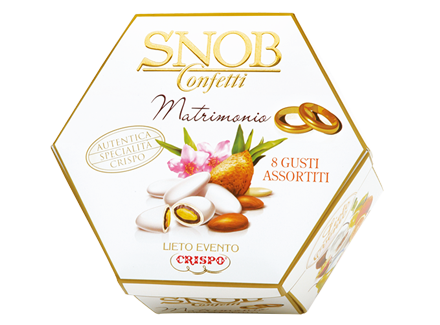 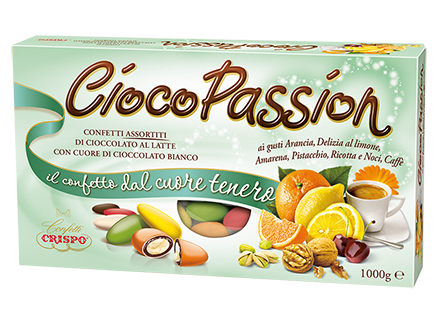 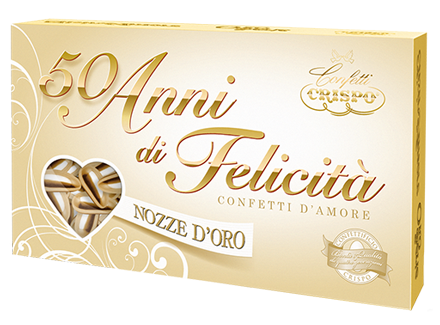 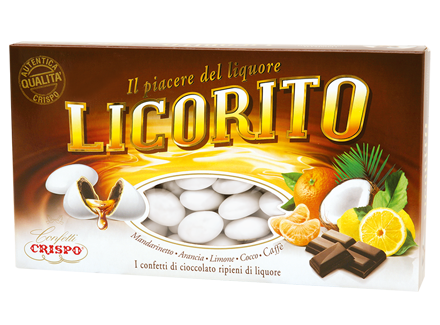 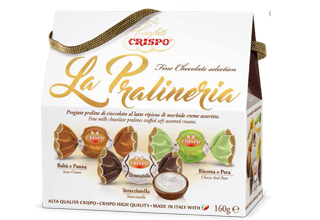 Confetti Crispo Gift Boxes are characterized by a romantic design inspired by Italy and enclose exclusive selections of chocolate pralines and gianduiotti of Crispo authentic quality. 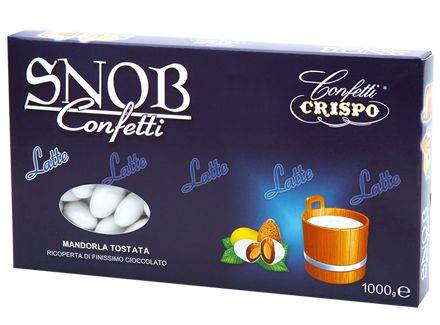 Confetti Crispo gift boxes are perfect to put on the table at the end of lunch and dinner parties, always appreciated for their elegance.